The longer beads were loved by our parrots so we brought in the shorter beads as well! 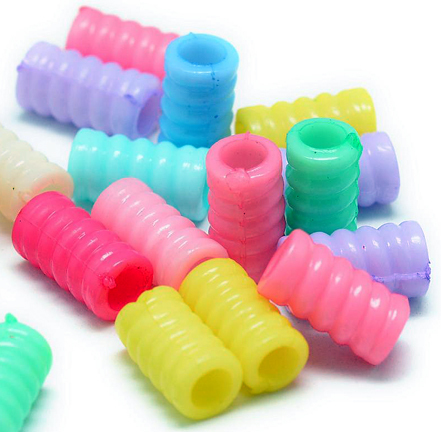 These beads look like a short straw but they're acrylic. They have fun bumps that the parrots love to tongue and a generous size hole so you can string lots of stuff comfortably (leather lacing, paper rope, and they are really cheerful on our neon laces). These are lots of fun to dress up you existing toys or get created and make some new ones!